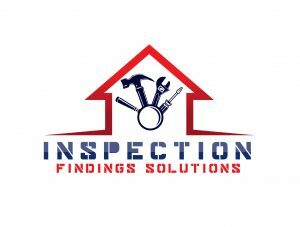 You can be the best home inspector in your area, with many years of experience, but without proper marketing, your potential clients may never find you. Marketing, as much as most business owners dislike it, is one of the most important aspects of owning a business. It comes in many different forms, such as word of mouth from other clients, all the way to sending out postcards with your information on it. Here is a sampling of some home inspection marketing ideas you can use to drum up more business. There are many more ways which are not listed here. Five to ten years ago, you may have been able to do business without a website; however, you can’t bet on having a successful business without one. People tend to turn to search engines as soon as they need anything nowadays, Google being one of the largest ones out there. Your website doesn’t need to be the best out there with fancy features, but it does have to be professional and demonstrate you are a legitimate business. Do you just want your website to be just an online brochure? Or do you want your website to be found by potential clients. 3. Have business cards, and a brochure. It seems simple enough, but there are many individuals that own a business who do not have business cards on them at all times. Business cards are an excellent way to end a conversation with a potential client and leave them with the impression they spoke with a professional. They can be handed out to your local stops, such as where you eat lunch on a daily basis, and they can put cards up on their bulletin boards or counters. And a tri-fold brochure is another essential business marketing tool as well, especially when marketing to real estate agents. 3. Join an industry organization. Groups, on a local or national level, are an excellent way to connect with home inspectors, share tips, and ask questions about the industry. In addition, they’re a great link you can add to your website or resume that demonstrates to people you’re serious about your profession. Join your local real estate association as an affiliate member and be involved. You don’t have to use paid advertising on social media in order to use it for business. In the first few months, devote a little bit of time a few times a week to update your social media accounts. Use a social media manager tool in order to update them all at once. Find some of your old friends from your high school days, college days, or when you used to have time to socialize! Ask them, and your current sphere of socialization to help spread the word about your new home inspection business. 5. Host a real estate meeting. First, you have to put together a topic. What questions do your clients ask all the time? Is there an issue you have to resolve for clients and realtors often? These things are great ideas for classes. Once you have the topic, create an outline of five to six different subtopics you can cover in the meeting. For example, a meeting about the top common questions home buyers should ask an inspector during a home inspection, and then make a list of the top things a home buyer should be aware of. Educate the agents on common findings as well, they will look at you as a teacher and not just an inspector. If you want to use a billboard, that’s a good idea, but you don’t have to go that far in the beginning, or ever. There are a few ways you can advertise outside, such as putting a sign on your vehicle, using yard signs at a property, or asking past clients if you can put a sign in their yard for a specific amount of time. One way you can get them to put up a sign in their yard is to offer them a discount on their inspection. Make sure to keep a list of prospective clients, past clients, and contacts organized in order to advertise to them efficiently and quickly. The most efficient way to do this is through software, and then you can mail out a personalized postcard or send them a little gift on their birthday or anniversary. This is an excellent way to drum up more business by staying in their mind, and when one of their friends needs an inspector, they’ll mention you! Real estate agents have required continuing education, so there are many classes out there you can sponsor or co-sponsor! You will have a short opportunity to speak in front of the class, and hand out your business cards, and brochures. 9. Mail out and hand out something useful to your potential and past clients. Almost no one throws away a refrigerator magnet because it’s a free, useful tool, and it’s advertising for you as long as it’s up there. Keychain ornaments, clips, and other accessories are available on many different advertising management websites. 10. Make real estate agents your friends. Real estate agents are the hub of the housing industry. They are going to recommend inspectors to their clients, friends, and other real estate agents, and they’ll do most of your advertising for you. Stop by their office with a treat and some business cards, and you’ll have amazing business partners. 11. Do a thorough, professional inspection. Of course this is a no brainier, if you do not provide a great inspection to your client – then word will spread fast, and soon you will have no business. Part of doing a great inspection is the review of the inspection at the property. Be personable, don’t judge the property, and do not scare the customer. Always provide information on everything you found. A very effective, no cost home inspection marketing tool. If you help people more than they expected – The Mantra “Exceed Peoples Expectations”, then you will have steady repeat business, and referrals. See example of being more helpful.